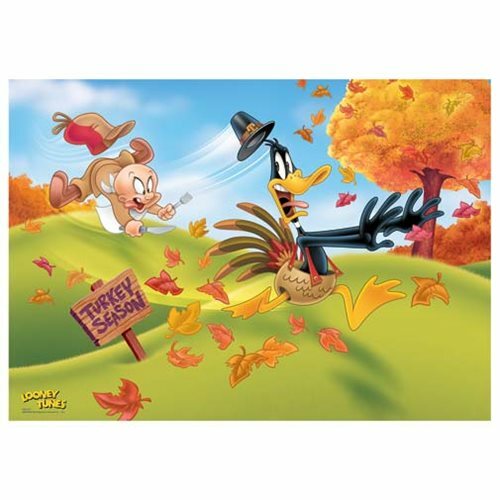 It's turkey season and it looks like Daffy can't keep himself off the menu no matter what he tries! This unique MightyPrint features the always popular, Daffy Duck, running from one very hungry Elmer Fudd. The Looney Tunes Turkey Season MightyPrint Wall Art Print will look great hanging in your home or office on the wall. Measures about 22-inches wide x 17-inches tall.